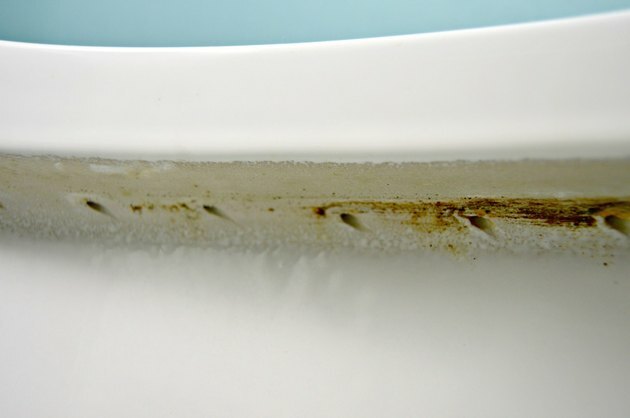 When cleaning toilets, getting rid of hard water stains can be almost impossible. Bleach products can make the problem worse, and most over the counter cleaners don't really combat hard water stains. 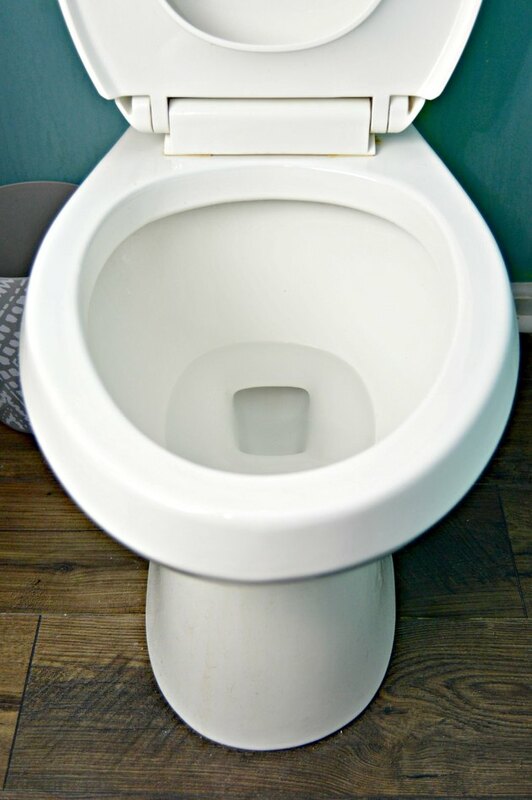 This easy tutorial will show you how to remove hard water stains from a toilet bowl with very little work using a couple of household ingredients. 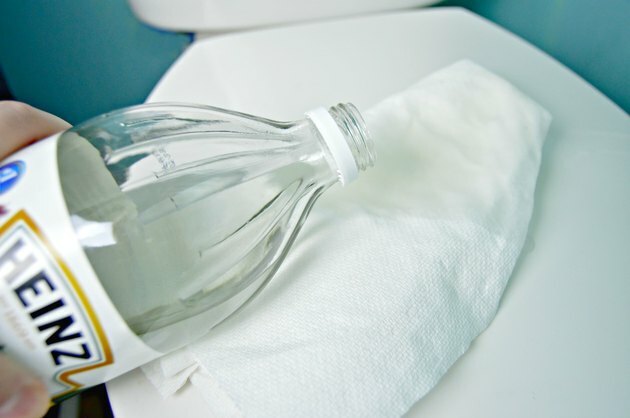 Soak 4 to 6 paper towels in vinegar. 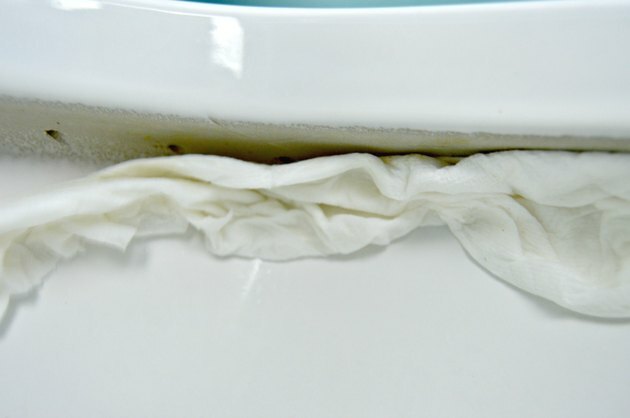 Roll the vinegar soaked paper towels and press them up under the inside rim of your toilet. Keep pressing them in until they stay in place. Leave for 10 to 20 minutes. Remove and discard. 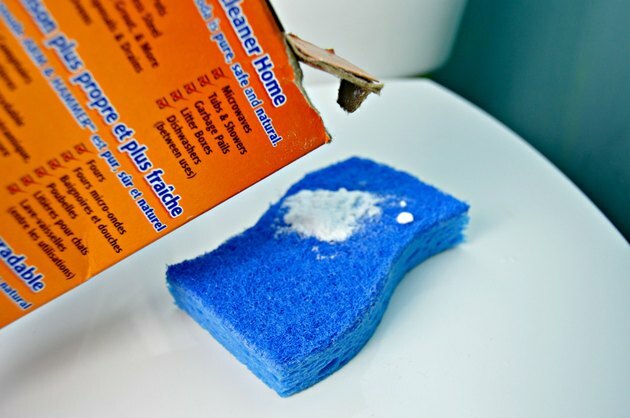 Add about 1 tablespoon of baking soda to a damp scrub sponge. The baking soda will fizz a little when it hits the area where the vinegar was placed. This fizzing will help to loosen the hard water deposits and remove the stains. 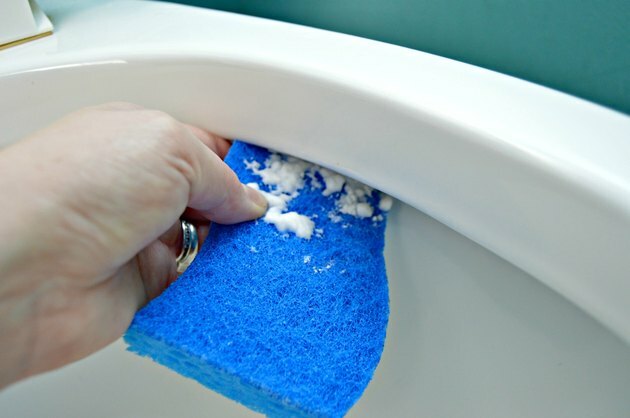 Keep adding a little more baking soda to your sponge as you make your way around the rim of the toilet. If the stains and deposits are really tough to remove, you can spray the area with vinegar and scrub with more baking soda to remove. If you have hard water stains in the bottom of your toilet, try pouring in a cup of vinegar and letting it sit overnight. The next morning, add 1/4 cup of baking soda and use a scrub sponge to remove hard water deposits and stains.